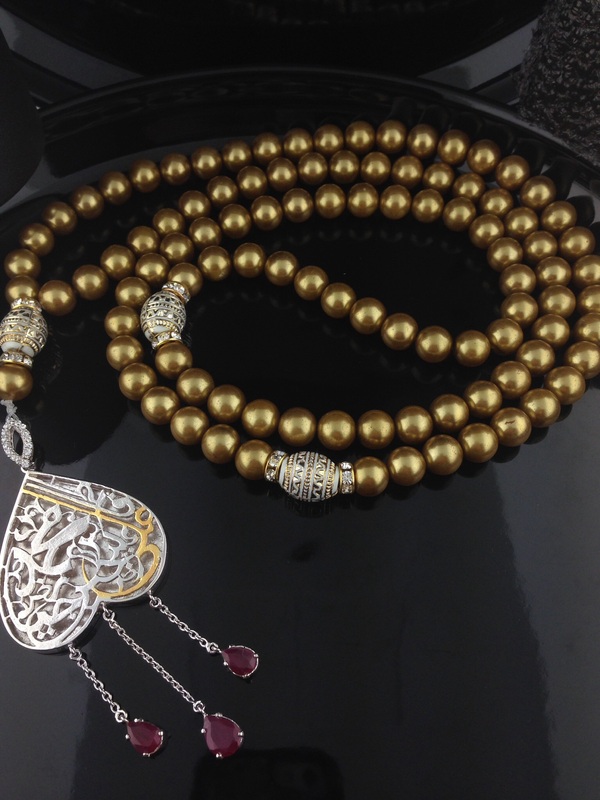 99 para Islamic Tasbhi with akik and mustard colored beads. Sterling Silver two tone charm attached with rubies. Panchtan Paak names written on charm.